Frankincense Essential Oil is derived from Boswellia resin, frankincense tree (Boswellia Sacra or Boswellia Carteri). It is commonly used in aromatherapy for its anti-depressant, anti-anxiety, soothing and calming effects. Therapeutically, it is also beneficial for inflammation, rheumatoid arthritis, cold, bronchitis, lung congestion, bad breath, toothache, oral infections, appetite, constipation, menstrual irregularity etc. ACTANOL, INCENSYL ACETATE, NCENSOLE, BORNYL ACETATE, LINALOOL, OCTYL ACETATE, etc. are also found in Frankincense Oil. Frankincense Oil is used for cosmetic as well as therapeutic purposes. It provides benefits to the mind, brain, immune system, oral cavity, hair, skin, uterus, intestine and several other organs in the body. It promotes appetite and exerts a digestive action. Generally, it is used as aromatic oil in aromatherapy or topical application. It is also used internally, but you should check the brand if it is suitable for internal use. It can be used on wounds for boosting healing process and decreasing scar appearance. 2 to 3 drops of oil should be mixed in a base oil (coconut oil, olive oil or sesame oil) or honey and applied to the affected skin. The regular application of Frankincense Oil mixed with almond oil can help to fade blemishes, scars and stretch marks. A few drops of the Frankincense Essential Oil should be added in 10 ml almond oil. Using it with almond oil, it provides good results for reducing blemishes, dark circles, scars and stretch marks. 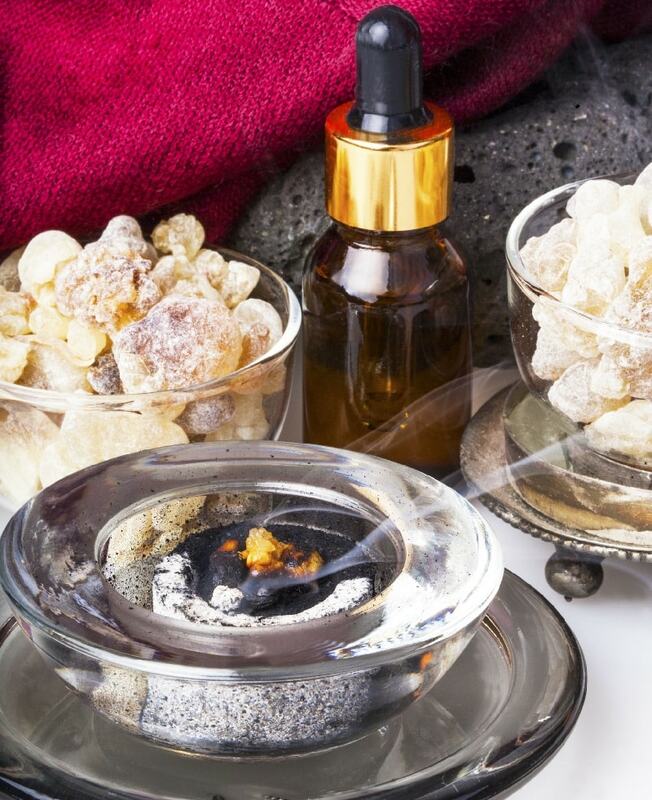 The inhalation of Frankincense Oil has calming effects on the mind. So, it relaxes the mind and induces the feeling of calmness and helps in stress reduction. It improves mood and releases mental tension. Therefore, it is good and effective alternative measure for stress, anxiety, depression, negative emotions and mood disorders. The high-quality Boswellia Sacra Frankincense Essential oil contains about 80% Alpha Pinene.